The Flag of Albania (Albanian: Flamuri i Shqipërisë) is a red flag with a silhouetted black double-headed eagle in the center. The red stands for bravery, strength and valor, while the double-headed eagle represents the sovereign state of Albania located in the Balkans. The eagle was used for heraldic purposes in the late Middle Ages by a number of noble families in Albania (it is said that Skanderbeg used it on his flag) and became the symbol of the Albanians. The Kastrioti's coat of arms, depicting a black double-headed eagle on a red field, became famous when he led a revolt against the Ottoman Empire that resulted with the independence of Albania from 1443 to 1479. 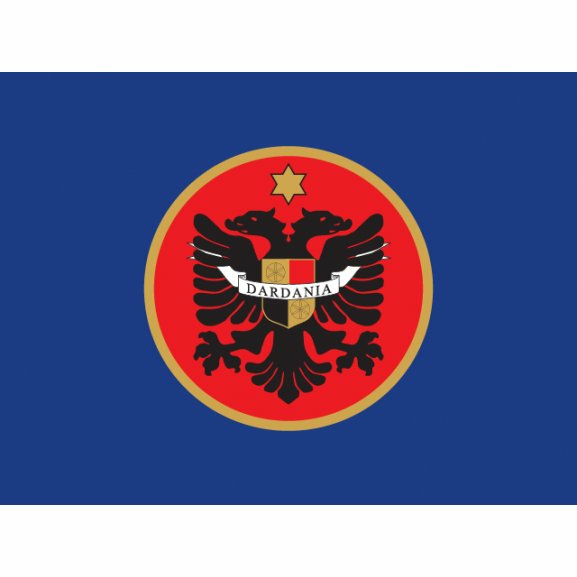 This was the flag of the League of Lezhe, which was the first unified Albanian state in the Middle Ages. The symbol of the double-headed eagle was re-used by Albanian nationalists during the late 19th and early 20th centuries as a symbol of their campaign for their country's independence from the Ottoman Empire. On 28 November 1912, the Albanian Declaration of Independence was proclaimed in Vlora and the flag, raised by Ismail Qemal, was adopted as the symbol of the new nation.